This online calculator can find and plot the equation of a straight line passing through the two points. The calculator will generate a step-by-step explanation on how to obtain the result. How to find equation of the line determined by two points? 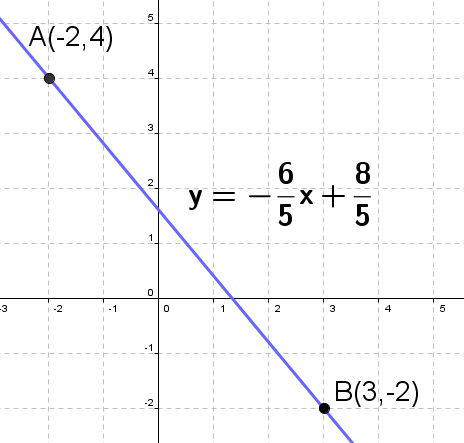 Find the equation of the line determined by $A(-2, 4)$ and $B(3, -2)$. Multiply both sides with $5$ to get rid of the fractions. 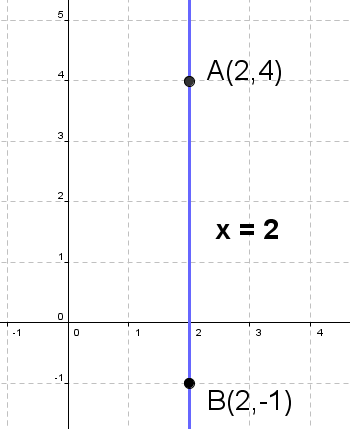 Find the equation of the line determined by $A(2, 4)$ and $B(2, -1)$. You can see from picture on the right that in special case the line is parallel to y - axis. Note: use above calculator to check the results.